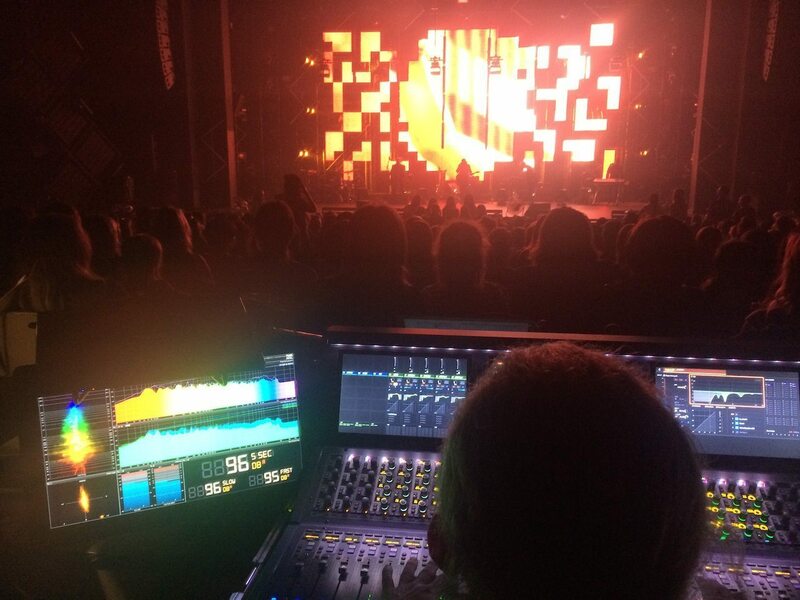 Veteran engineer Pat Guertin has been mixing live and in the studio for the better part of 30 years. After working for various Montreal-based production companies, he went on the road with artists including Éonz, Deadlock, Bodh’aktan, and the famous Canadian rock band, Les Respectables. 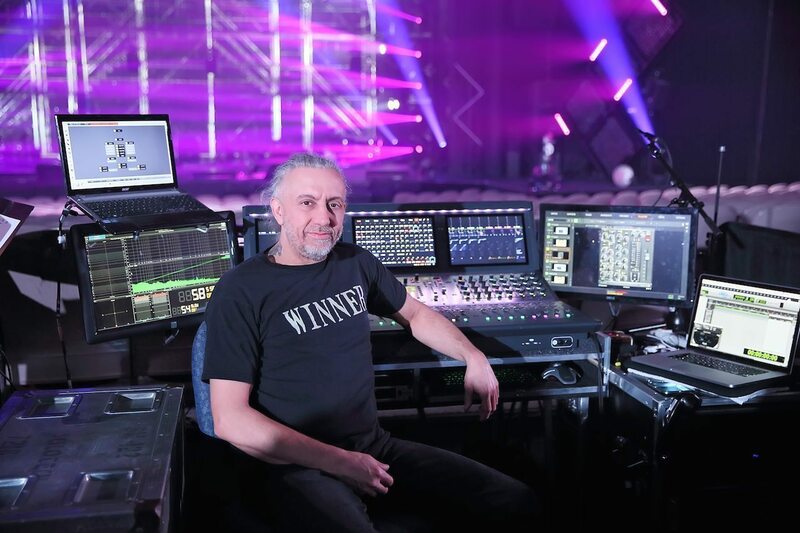 Most recently he’s been mixing FOH for Marie-Mai, and I recently spoke with Guertin about mixing the singer’s 25 show run at the historic Théâtre St-Denis on the new S6L system. 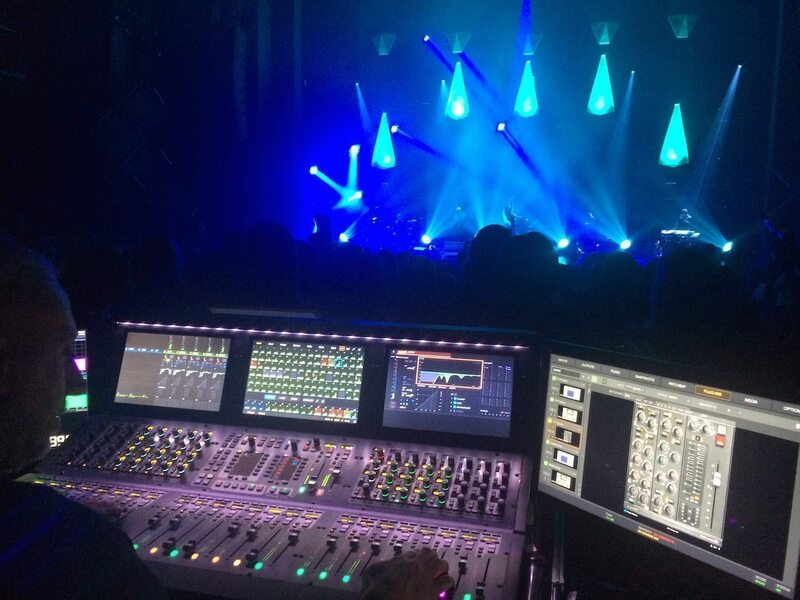 HL: How long have you been mixing FOH for Marie-Mai? PG: I have been with Marie-Mai since her career debut 11 years ago. It’s like a family, with most of the team having worked together for almost 10 years. HL: What is your biggest challenge mixing an artist like Marie-Mai? PG: The biggest challenge is to give the band a big, impactful rock sound while still keeping my singer right up front, loud, and clear—that’s what her fans demand. 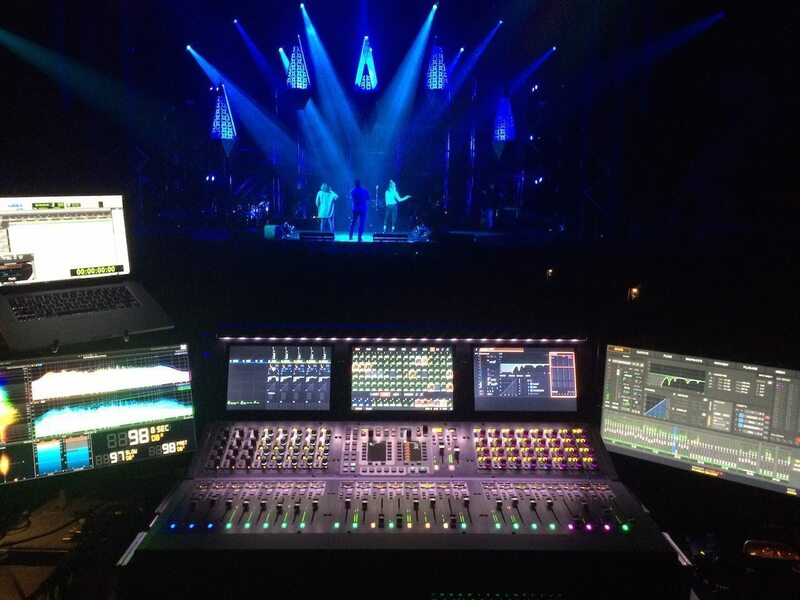 HL: How did you discover Avid VENUE mixing consoles? PG: I first had a chance to work with VENUE a few years back at the Quebec Summer Festival with Marie-Mai as well as with the band Bodh’aktan. I was instantly impressed with how easy it was to work with the system and interface. 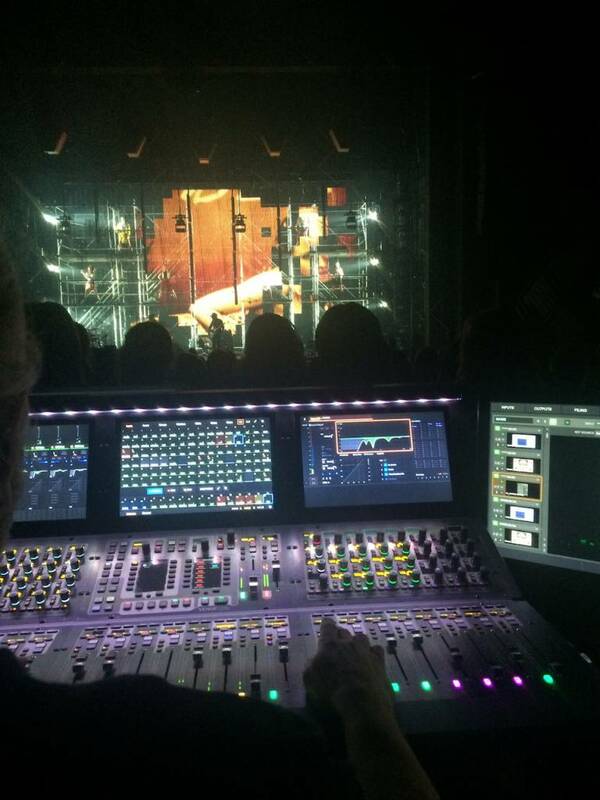 HL: How did you decide to use the VENUE | S6L for this run of shows at the Théâtre St-Denis? PG: Having a series of 25 dates featuring a new show was the perfect opportunity to really put the S6L to the test. What hooked me right away was the ability to leave the mouse behind—the surface and the VENUE touchscreen monitor just give you easy and fast access to every parameter—everything I need is right at my fingertips without having to navigate through layers of software. HL: How comfortable were you taking out a brand new console? PG: New technology doesn’t scare me. I was more than comfortable to use the S6L, especially with the great support behind it—this was not my first dance with Avid! 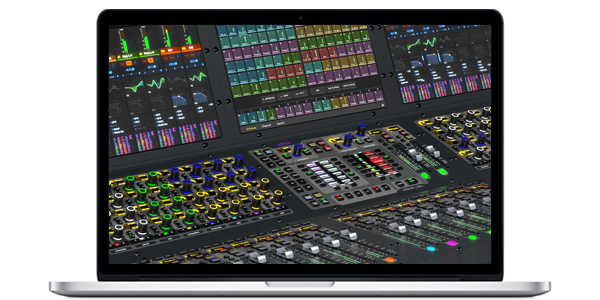 HL: How did you use S6L’s Pro Tools recording and playback features? PG: With such an easy and direct connection to Pro Tools, all rehearsals and shows were recorded. Not only was this was a huge resource to the production team, but for me personally, the ability to refine my live mix as if I was at home in my studio has become a must have—it’s totally integrated and let’s me really dial in every aspect of the show. After we finished the 25 shows, a local broadcaster approached Marie-Mai about doing a special feature on the last show of the run and requested some tracks. So guess what? The recordings were ready to support that immediately, and with amazing sound quality. HL: Having mixed all these shows with S6L, what are your favorite features of the new desk? PG: I definitely love the Virtual Soundcheck integration—there’s no going back for me as far as that’s concerned. I also love how the control surface gives me the ability to customize it to my taste with custom layouts and snapshots. Getting a bit more techy, I appreciate the precise and dedicated Tap Tempo delay. The plug-ins are great as well, including the new bx_console plug-in from Brainworx, which is a fantastic emulation of the Neve VXS console. I used this on the vocals with great results. I also used the Flux Pure Analyzer to dial in the system, getting the audio samples either from Pro Tools or S6L’s AVB audio stream. HL: What are your impressions of the system’s sound quality? PG: Well, the sound is fantastic. S6L’s headroom instantly stood out and made my task easier than ever, and I was able to quickly dial up a dynamic rock mix and still have tons of room for the vocal on top. It’s everything that I could have hoped for. We have another ten show run coming up in March and you can be sure that we’ll be using the S6L for those as well. I started my career in production equipment rentals and studio recording then sound system mixing and operation for a variety of productions including Canadian touring companies and as a technical director for special events. Since 1998 I have been a distributor of professional audio products, and for the last 7 years the Technical Sales Manager for Avid Live Systems in Canada.